97 songs of worship, praise and celebration. 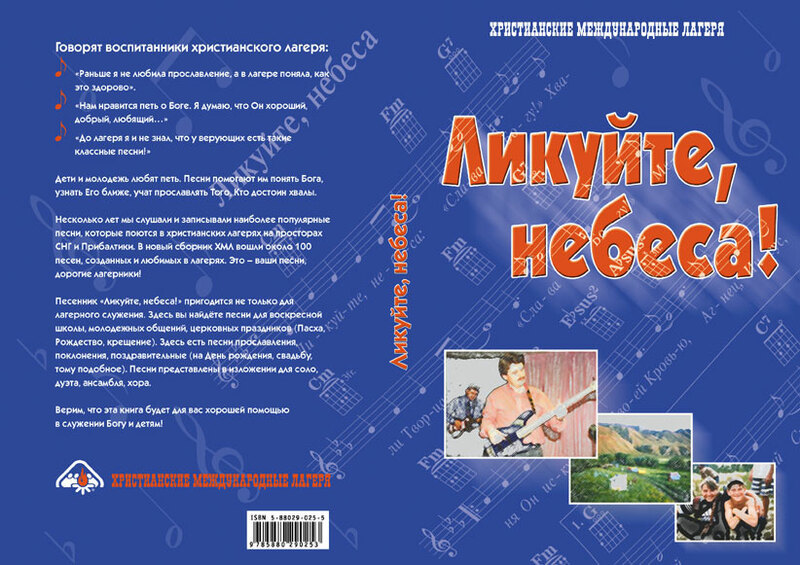 Compiled by Vira Shevchenko, Vladimir Kashalaba, Elena Shevchenko. Edited by Alexander Kharitonov. 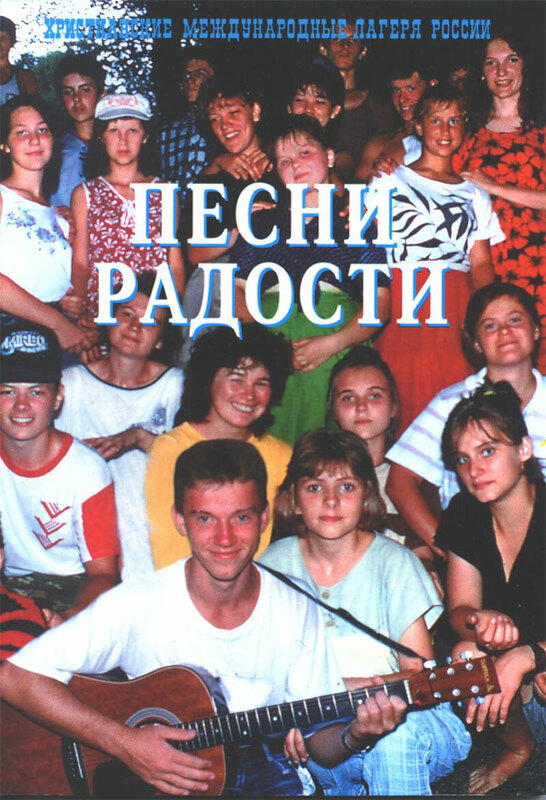 This song collection from CCI/Russia includes almost 100 songs created in and cherished by Christian camps. Here you will also find songs for Sunday Schools, youth events, and church events (i.e. Easter, Christmas, baptism). As well, there are songs of worship, praise, and celebration (birthday, wedding, etc.) included. Songs are published for solo, duet, ensemble, or choir performance. Complete lyrics, notes, and guitar chords for all songs are included. "I was the music leader in our camp this summer, and I witnessed many songs from this new collection become hits with the kids. I studied Heavens, Rejoice from cover to cover myself and want to tell you that this is an excellent tool, indispensable for camps and youth ministry." 99 songs of worship, praise and celebration. Compiled and edited by John & Bertha Klassen. The best songs from the Christian camps of Russia, Ukraine, Moldova and Latvia calling youth to godliness and worship. Suitable for use in small groups, congregational singing, campfires, retreats, youth worship services, campers’ follow-up, Christian youth clubs etc. All songs include notes and guitar chords. 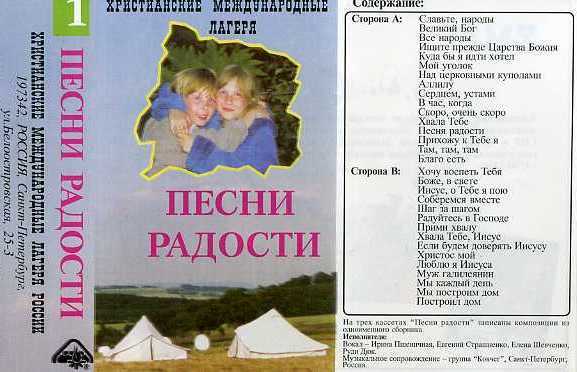 Previous edition of the well-known Christian camp songs collection. All songs include notes and guitar chords. Recorded at CCLC 2005. 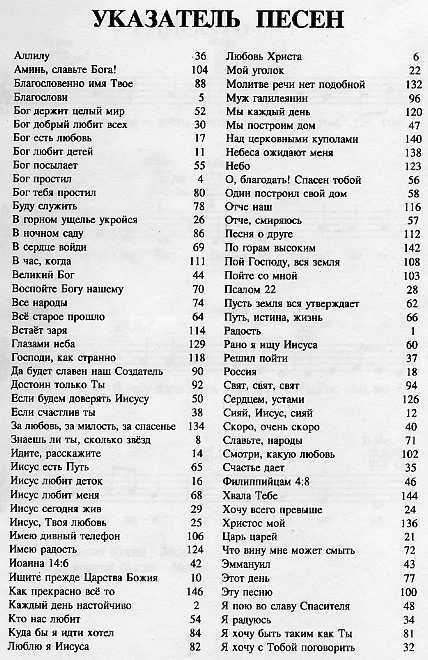 Features the groups Be My Guest, Благая Весть, Умеренная громкость and Скимен. 13 songs from our latest songbook. 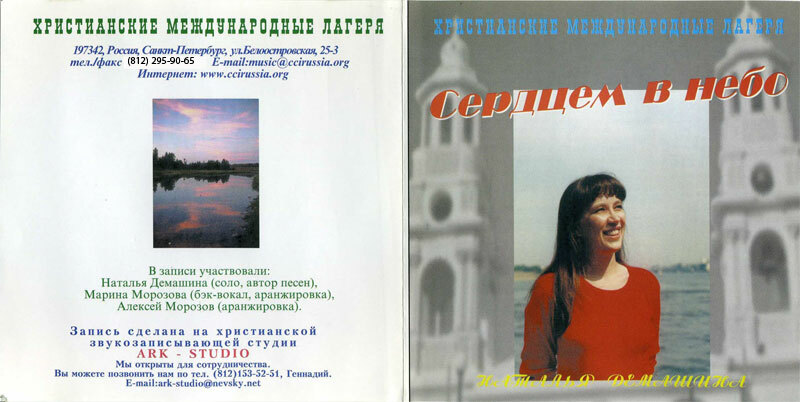 Recorded at Ark Studio, St. Petersburg. Vocals: Vadim Chosik, Dmitriy Kochkarov, Victoria Konovalchik, Dmitriy Kudriavtsev, Dmitriy Lebedev, Elena Shevchenko. Music: Vadim Chosik. Debut solo album of Natalia Demashina, talented author and performer from the Amur region. Recorded at Ark Studio, St. Petersburg. Vocals, lyrics and music: Natalia Demashina. Background vocals: Marina Morozova. Arrangement: Alexey Morozov, Marina Morozova. Bob Hilts (USA) on the trumpet. "Praise Him with the sounding of the trumpet" Psalm 150:3. Soundtrack to the songbook of the same name. 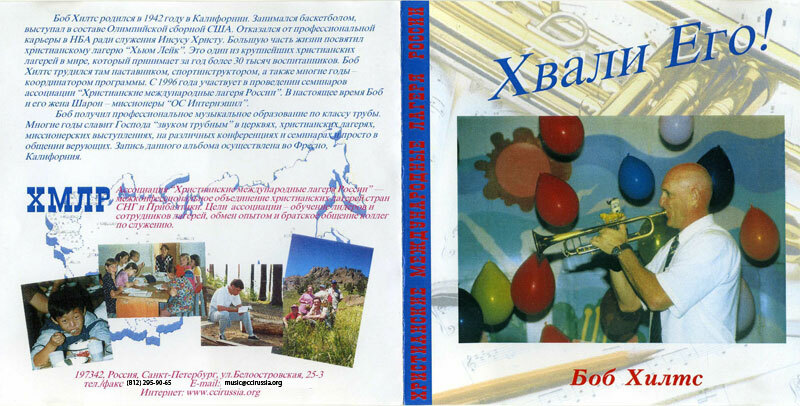 Recorded at Ark Studio, St. Petersburg. Vocals: Irina Pshenichnaya, Evgeniy Strashnenko, Elena Shevchenko, Rudolf Dueck. Music: Ark Christian Group, St. Petersburg. Recorded at Ark Studio, St. Petersburg. Vocals: Irina Pshenichnaya, Evgeniy Strashnenko, Elena Shevchenko, Alexander Novoselov. Music: Ark Christian Group, St. Petersburg.